Save money while you drive with this portable coin collector! Attaches to a backpack or purse for carrying ease. Use as a mere decoration or as a way to keep your coins out of the bottom of your bags. Made of plastic, this adorable accessory measures 2" making it small enough to take with you as you travel. 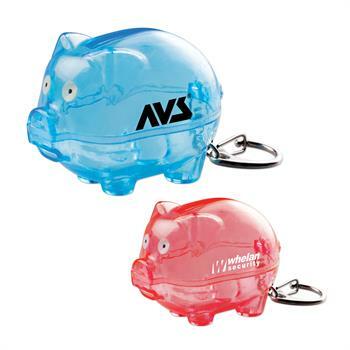 An ideal giveaway for tradeshows, conventions and school fundraisers. Available in blue (S5547X) and red (S5548X). Imprint Size : 1/2" x 1/2"